British folk/rock group formed around the core of Scotland-born brothers Gavin and Iain Sutherland. Initially active as part of the band [a1506891] in the late sixties, the siblings eventually were signed to Island and re-invented themselves as the [b]Sutherland Brothers Band[/b], releasing one album under that name in 1972. Sophomore album "Lifeboat" (recorded with different backing musicians) was billed simply as [a303558]. In 1973 the pair merged with the group [a167218]. 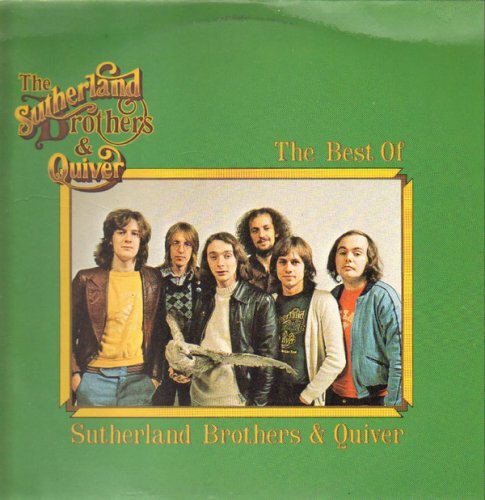 This partnership, known as [b]Sutherland Brothers & Quiver[/b], was to last for several albums, tours, and a few chart hits. By 1979 the brothers had parted company with the last remaining member of Quiver, [a277532], and continued on as the [a303558], releasing swansong album "When The Night Comes Down" later that year.